For generations people have honored the lives and unique gifts of those who came before with vibrantly decorated sugar skulls. Now, inspired by those beautiful, handmade works of art, acclaimed artist Jasmine Becket-Griffith brings us the Tea with the Spirits Figurine Collection, a first-ever exclusively from The Hamilton Collection. 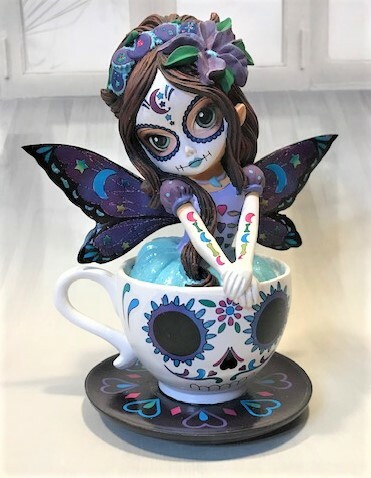 Overflowing with details, the figurines in this collection showcase Jasmine\’s signature wide-eyed, mystical fairies nestled in colourful teacups. 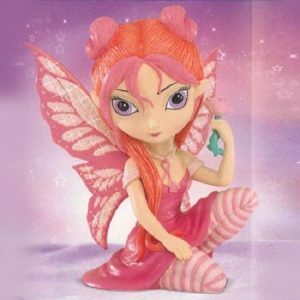 Each is intricately sculpted, then handcrafted in artist\’s resin. Filled to the brim with dazzling designs, they are hand-painted in a palette of brilliant hues that mirror popular sugar skull-like art. 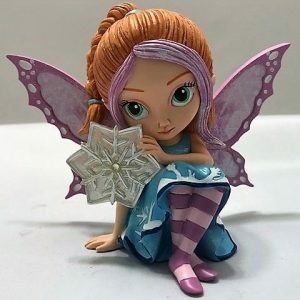 Mesmerizing eyes, sweetly painted faces, flowing hair, glitter-kissed dresses and butterfly-like wings make each fairy an enchanting work of art. 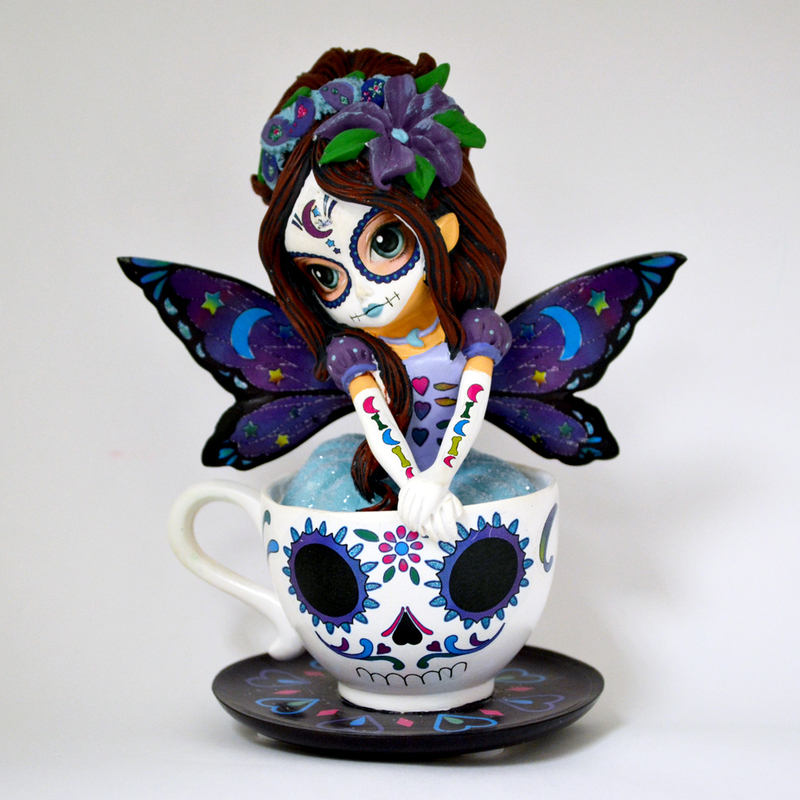 Even the pretty teacups they pose in are elaborately decorated with vibrant colours and designs.